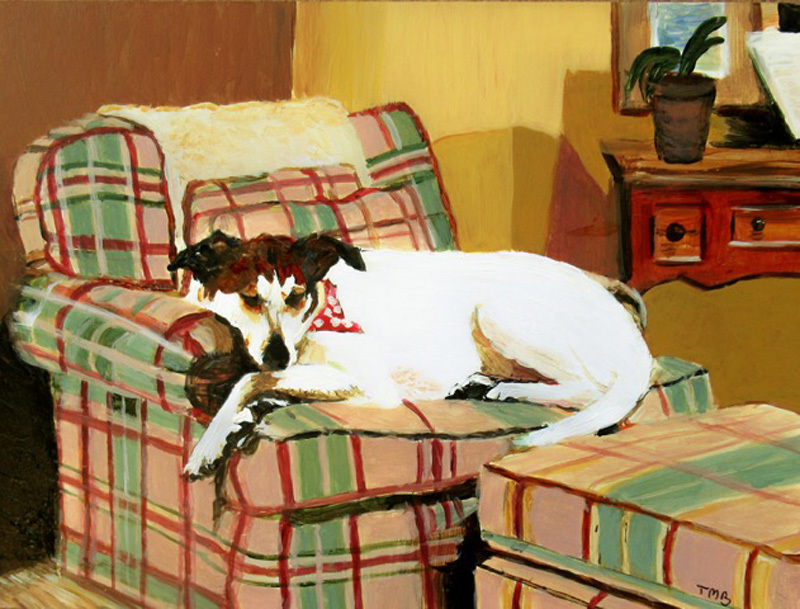 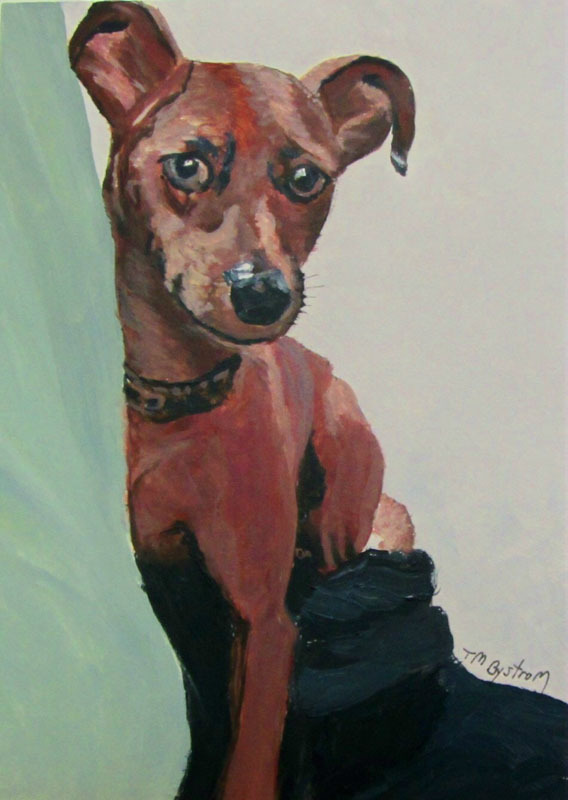 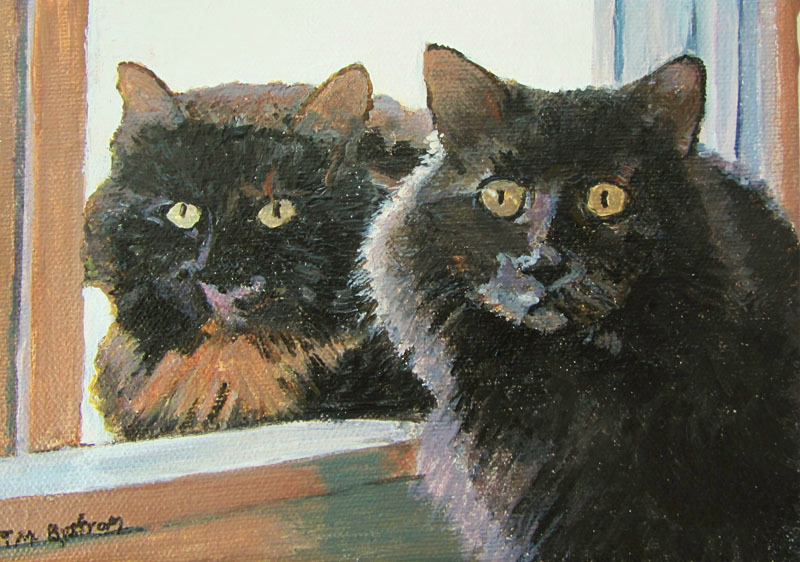 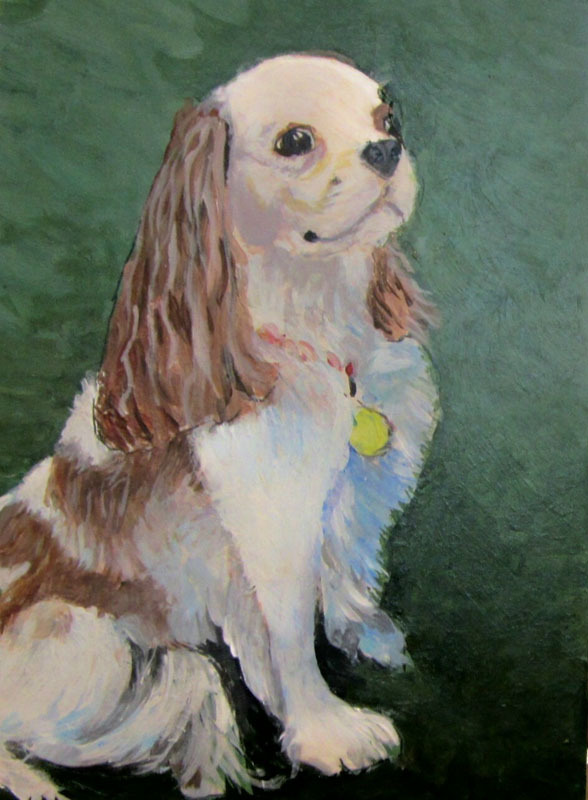 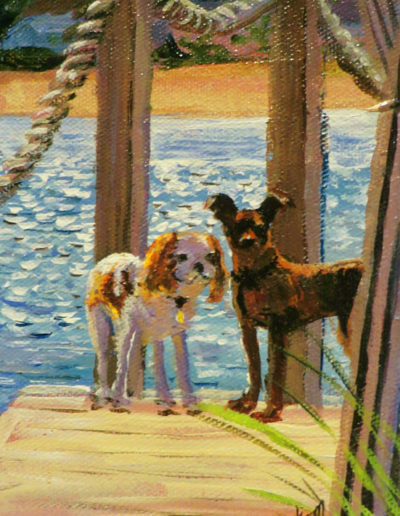 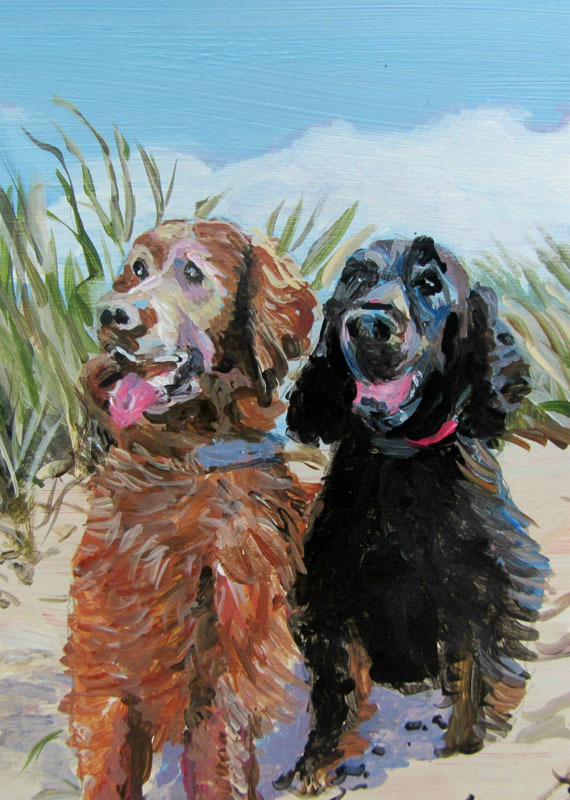 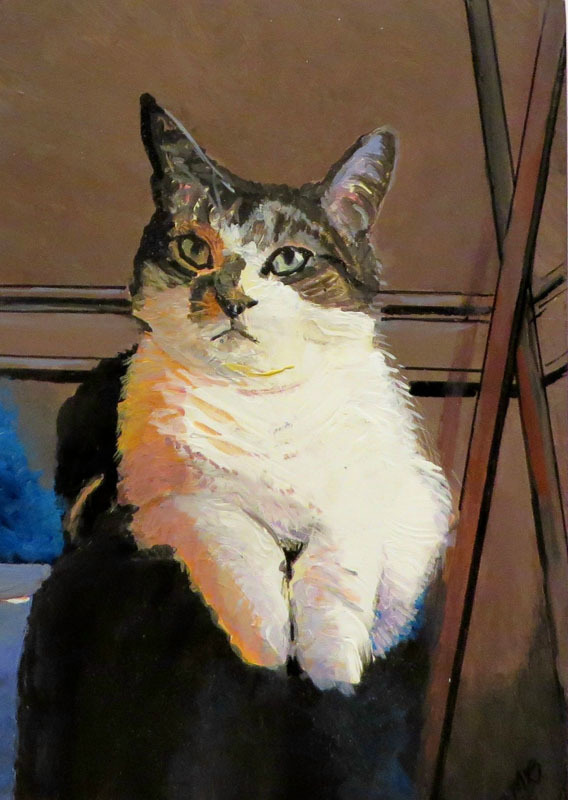 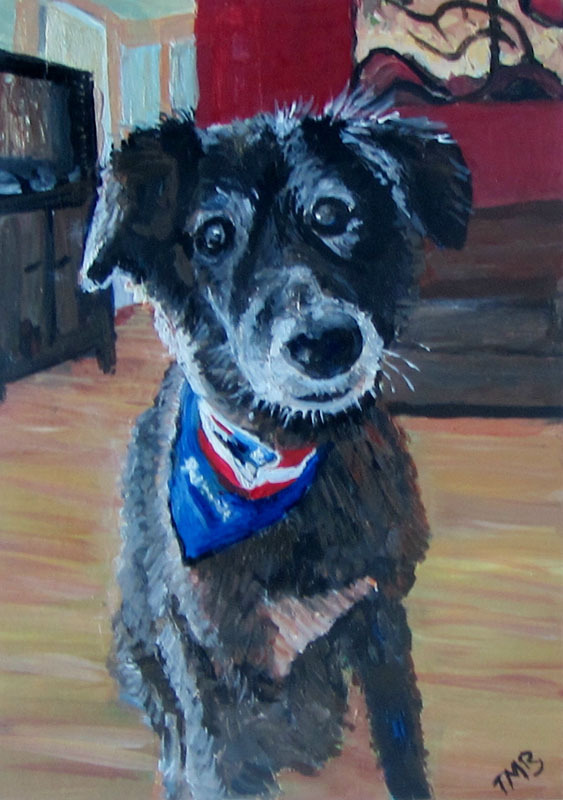 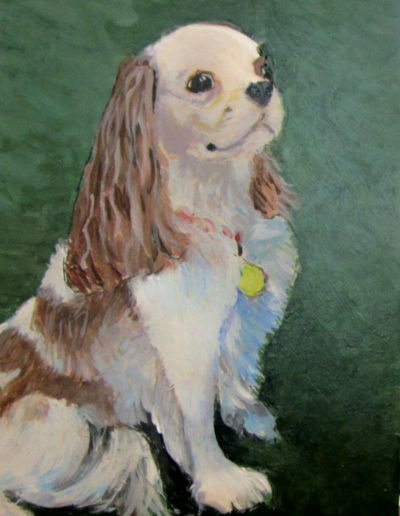 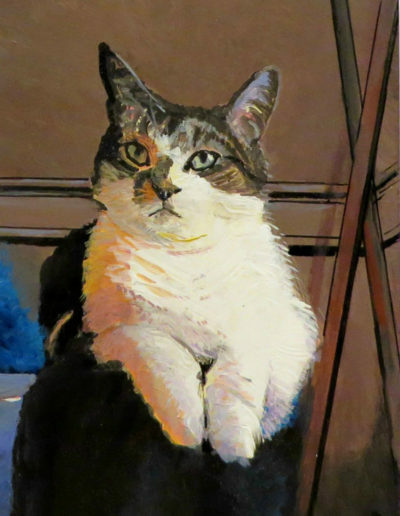 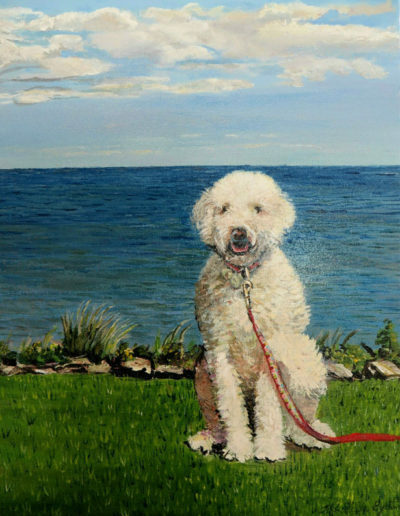 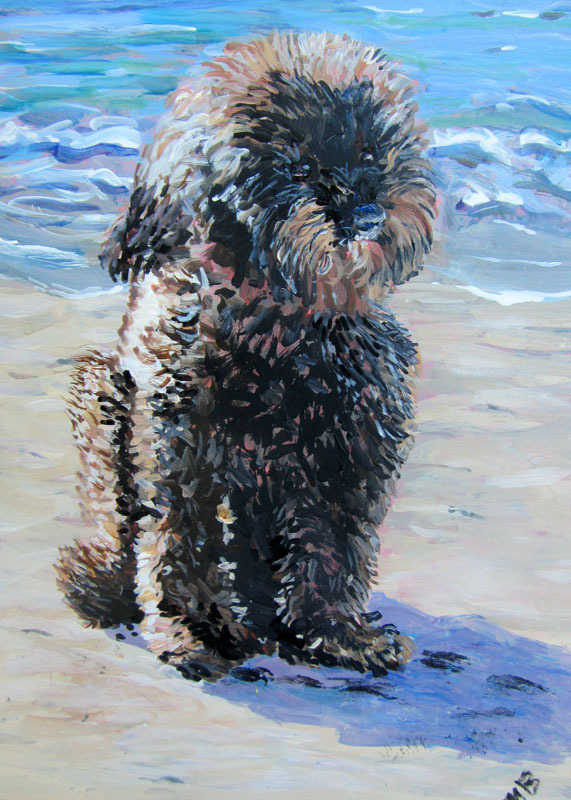 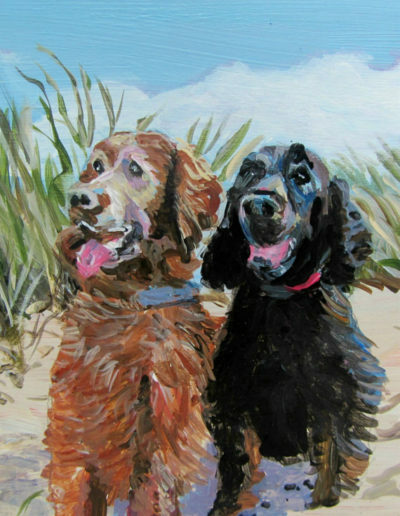 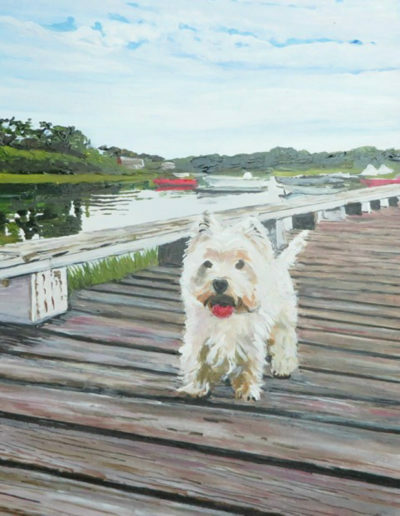 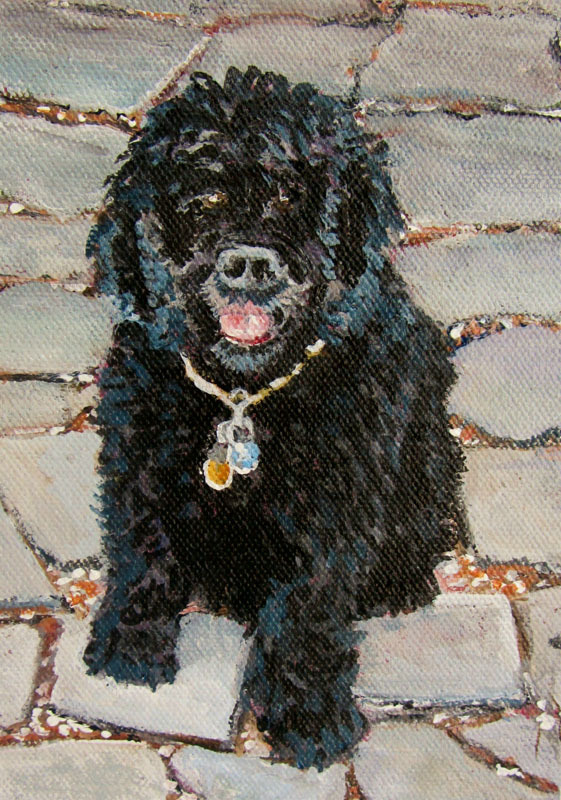 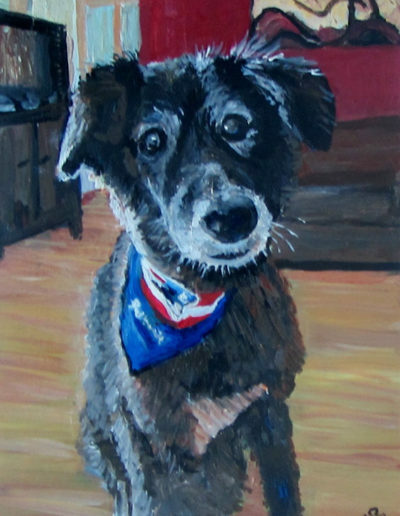 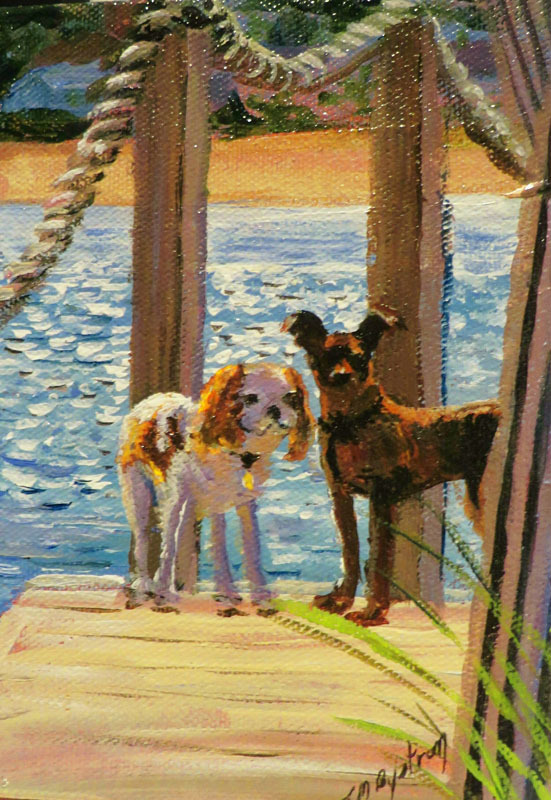 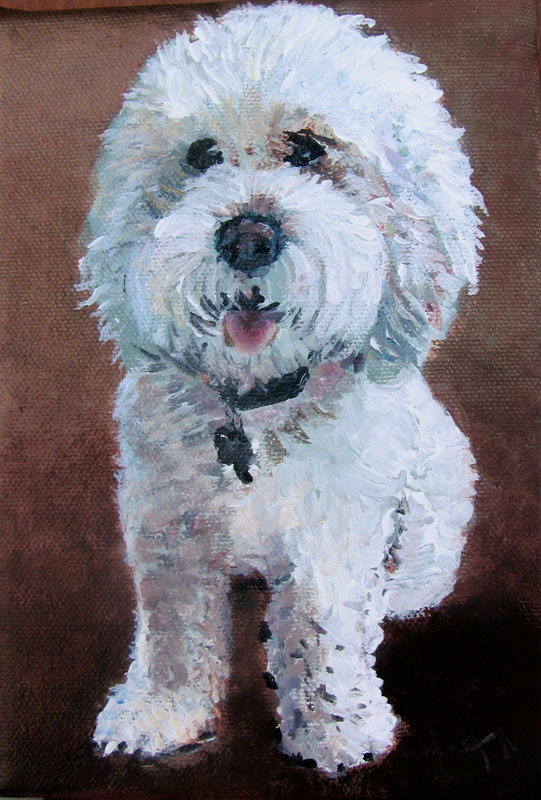 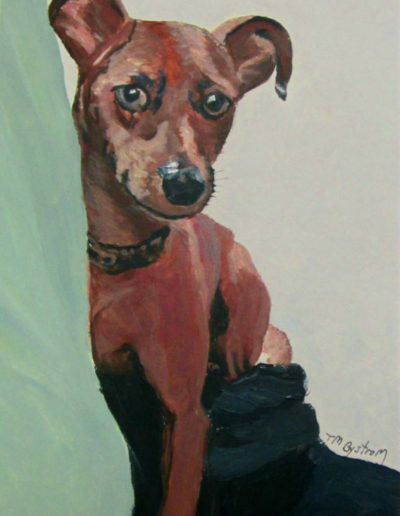 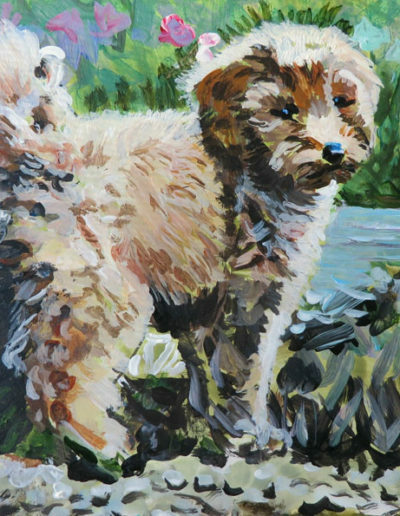 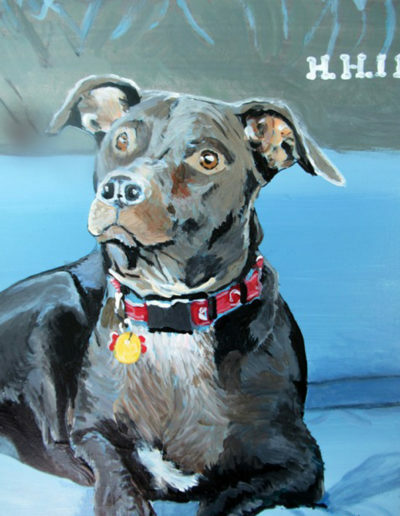 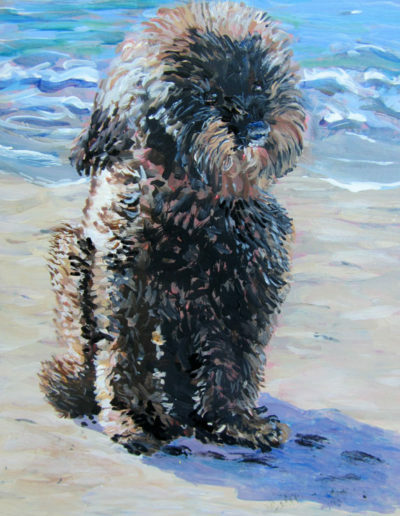 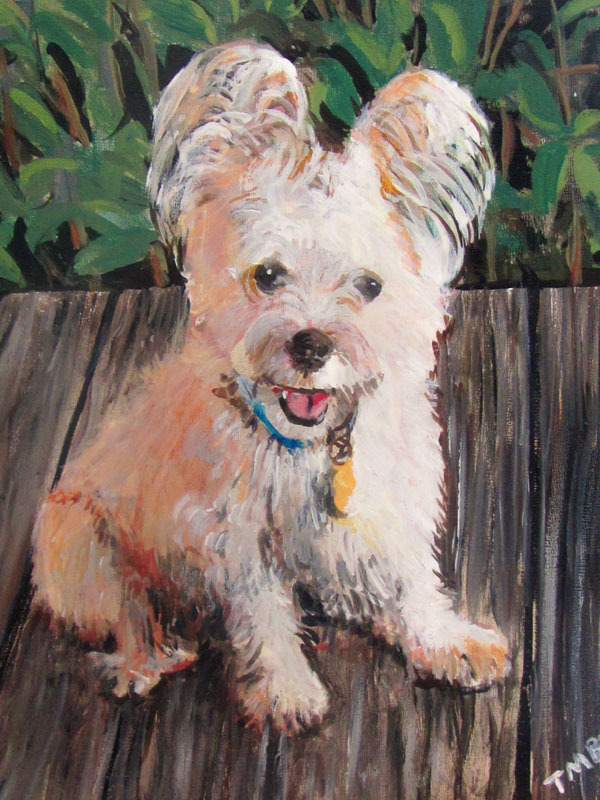 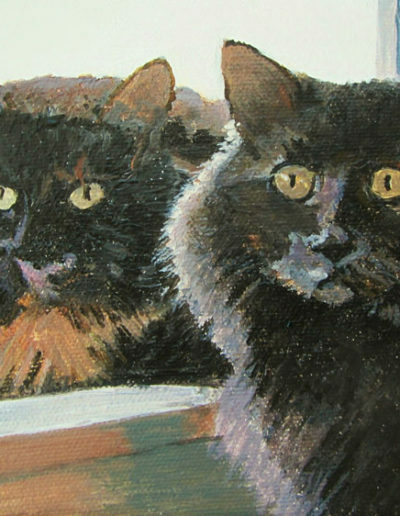 Your pet painted on a 5″ x 7″ ($95), 6″ x 8″ ($125), or 8″ x 10″ ($150) canvas, unframed on a wooden display stand. 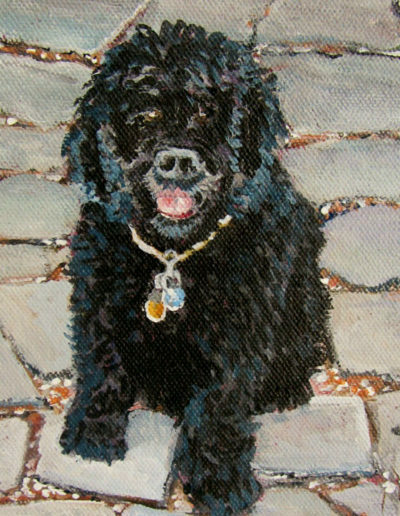 Provide your favorite photograph to the artist. 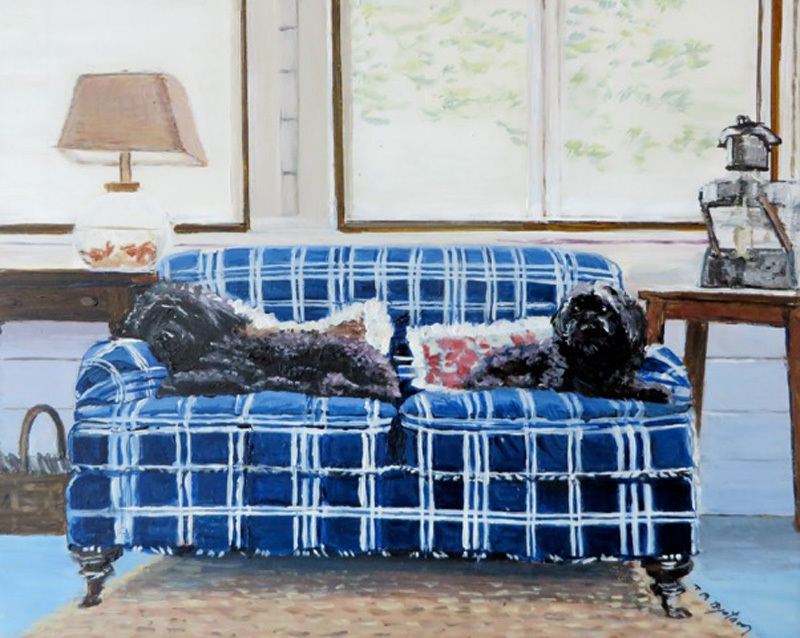 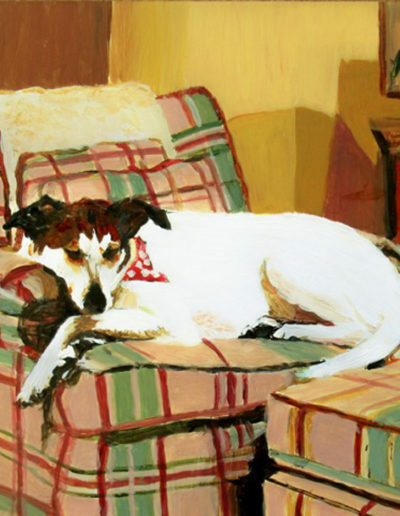 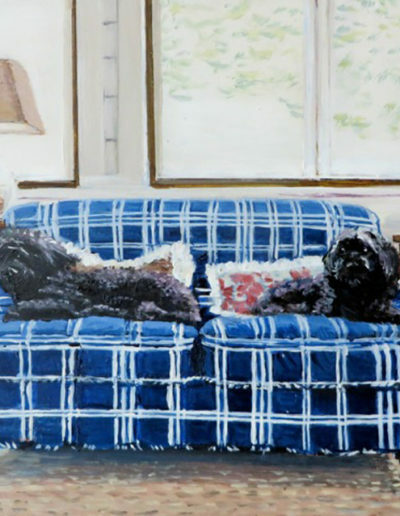 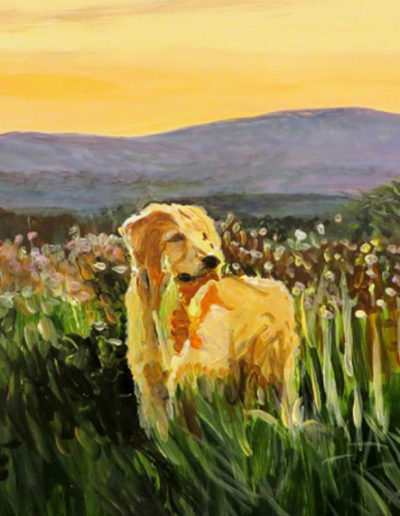 These paintings make wonderful gifts or mementos. 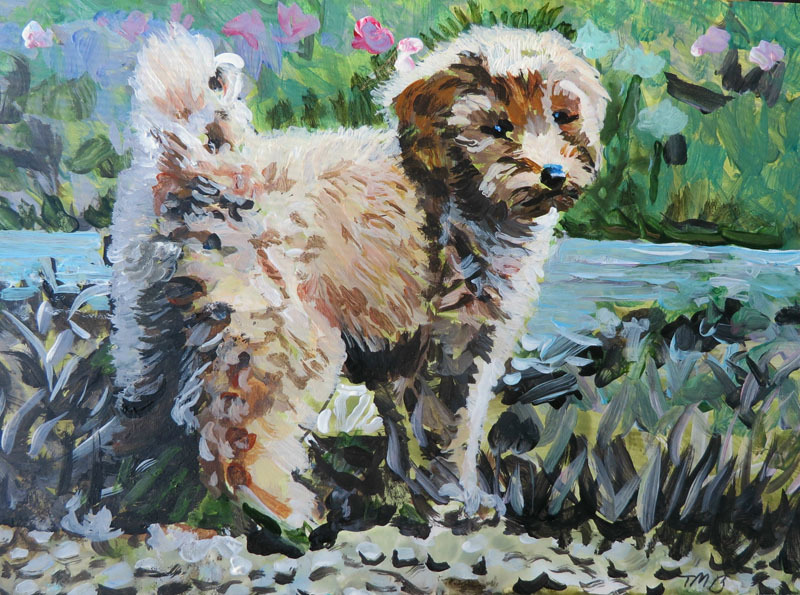 Larger paintings can also be ordered. 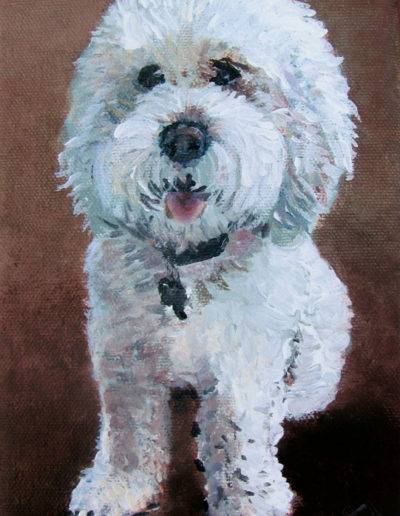 To place and order, or contact Tilda, please click here. 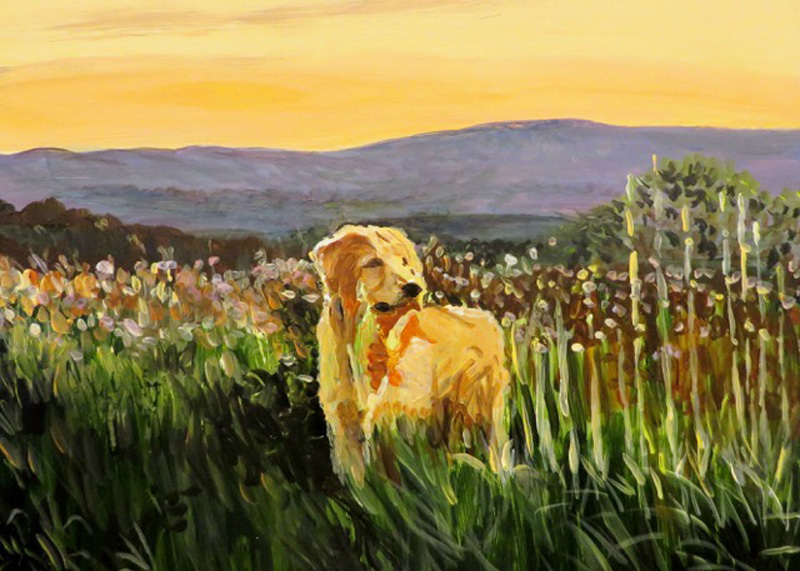 Designed by IMCbyDesign | ©2019 StillwaterGardenStudio.com All Rights Reserved.